Basketball players in North Korea are reported to have turned to gymnastics in a bid to improve their performance. 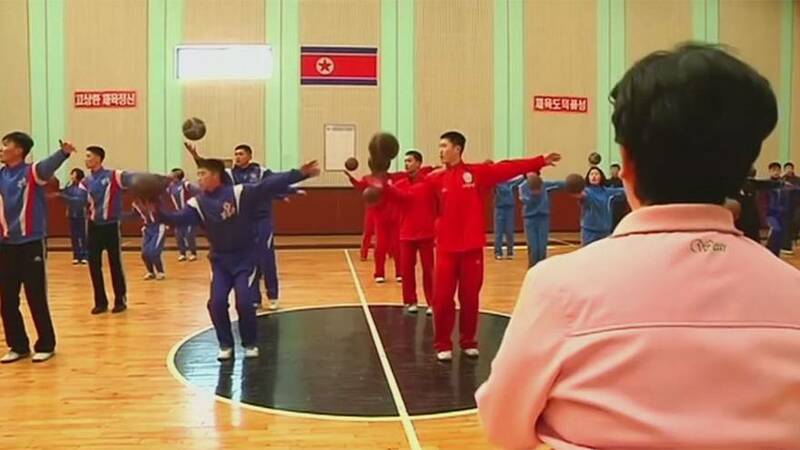 Video provided by the reclusive country’s central news agency, KCNA, which could not be verified by Reuters, showed North Korean basketball players practising rhythmic exercise using a basketball. One of the players Rim Kuk Hyon, said the gymnastics helped develop his suppleness.